Almost everyone is familiar with a full body workout that you might push through for at least one hour or so, and while it might have its benefits, it might not suit some people for various reasons. For those of you who aren’t aware of either, a full-body workout is one where you work on all the muscle groups in one workout by using compound exercises but a split workout is where you focus on one or two muscle groups per workout. While a full body workout involves training all muscle groups, a split workout can help you work on each muscle group, therefore with greater effectiveness. 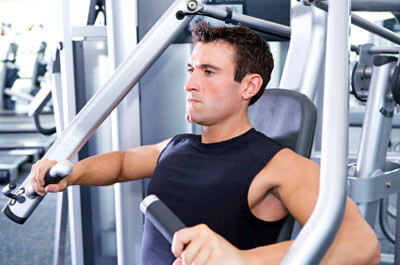 Usually, people focus on two muscle groups per workout. With the ability to focus on two muscle groups only, you will be able to focus on details such as the different heads and subdivisions of each muscle group and how you work on them which won’t be possible if you explore a full body workout. While a full body workout might require you to spend at least an hour with all muscle groups, focusing on two muscle groups a day will only require 30 minutes or so. This means that you get to plan your schedule better, and most of all, you feel fresh after a workout and ready to meet the day, almost every day. Since you only focus on two muscle groups, it will ensure that there won’t be any overtraining thus reducing the risk of injury, which is perhaps one of the best things that a person who is serious about exercising will be glad to hear. Top Reasons to Act in Indie Films Spears vs. Carey: Who will be a better judge of voice talent?